HeartShaper classroom-based curriculum is focused on helping kids love God and His Word—and live it out. HeartShaper is the only Sunday school curriculum that promotes biblical literacy by taking kids through the Bible five times by the time they reach sixth grade. 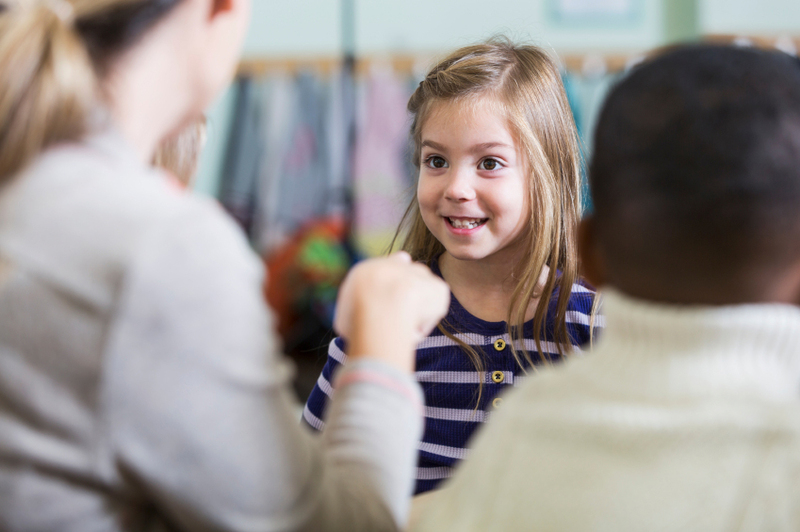 With one focus per lesson and our unique Quick Steps™, teaching is easy—and learning is fun! During the 12 years that children experience HeartShaper Children’s Curriculum, they will take five age-appropriate journeys through the Bible. Bible skills have been integrated when learners are ready to develop those abilities. Toddlers focus on one concept for a whole month while middle elementary learners dive into Bible chronology because they understand time. Preteens discover answers from God’s Word to the questions they face in their world. See how HeartShaper teaches Bible skills all year long. Teachers sing, play, talk, and repeat activities, giving young ones time to smile and laugh and wonder. Building on concepts taught to younger children, HeartShaper adds more Bible stories, continues multisensory learning, and guides the teacher to answer lots of questions preschoolers ask. Interactive Bible Learning Kids Love! Building on the Bible stories and concepts taught to preschool children, HeartShaper adds more details to Bible stories, integrates pre-reading skills, and offers simple group games. Interactive Bible learning provides teachers with flexibility needed for tailoring lessons to their unique situations. Developed with the beginning reader and writer in mind, HeartShaper reviews favorite Bible stories, introduces Bible skills, and helps kids focus on what God asks them to do. Learning How They Fit into God’s Plan! Kids have fun while they’re learning important truths! HeartShaper actively engages kids as they further develop Bible skills, explore Bible chronology, and learn how to fit into God’s plan. Going Beyond Right and Wrong Answers! Bible skills are integrated into every lesson, and each HeartShaper age level builds on the skills taught in the one before it. Listed below is one Bible skill per age level. Click on the link to find the complete Bible Skills Plan. - For Toddlers & 2s, Pre-K & K: 2+ correlated hours of interactive Bible learning. Toddlers & 2s includes bonus activities for babies. - For Early Elementary: Fun Bible story review games and seasonal ideas. - For Preteen: Media options and technology tips. - For Preteen: The Beat —a weekly online activity option—introduces lessons with current events, trends or media. Reach kids with special needs and make a difference—in a child’s future, in a family’s church experience, and in your church and community. 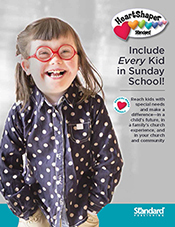 HeartShaper gives the resources you need to train teachers and adapt lesson activities so you can include kids with special needs in your Sunday school.